A chimney fire can be a traumatic event in the life of a homeowner or it can even occur without the knowledge of the homeowner. Either way, it happens, a chimney fire can cause extensive, (and sometimes, deadly) damage to a chimney or a home. Each year, there are many fires causing structural damage or loss of life that originated in or around the chimney. Helping homeowners use their wood stoves and fireplaces safely is the main reason Black Goose Chimney and Duct began serving the Twin Ports in 1984. Chimney fire prevention continues to be the main focus. The Chimney Safety Institute of America, (CSIA) and the National Fire Prevention Association, (NFPA) each recommend having your chimney professionally cleaned and inspected annually and repaired, if necessary. What should be included in a professional cleaning and inspection? Provide a written Condition Report on findings. 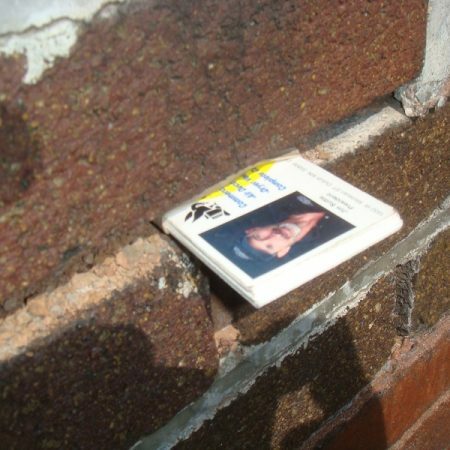 Provide photos of any areas of concern, including, (where possible) an interior video scan of the flue. Recommendations by the servicing technician on how to prevent or repair further use or weather damage, suggestions on proper use and safety tips. Third stage glaze creosote is the most dangerous type of creosote. It can look like someone poured sticky tar inside your chimney or it can be dried into a hard glaze. It’s insidious because it’s usually non-removable without special cleaning tools and chemical application and it can build thicker layers over time. A homeowner can look at it and think, “it’s only a half inch thick. There’s plenty of space for the smoke to exit.” This is potentially dangerous thinking. 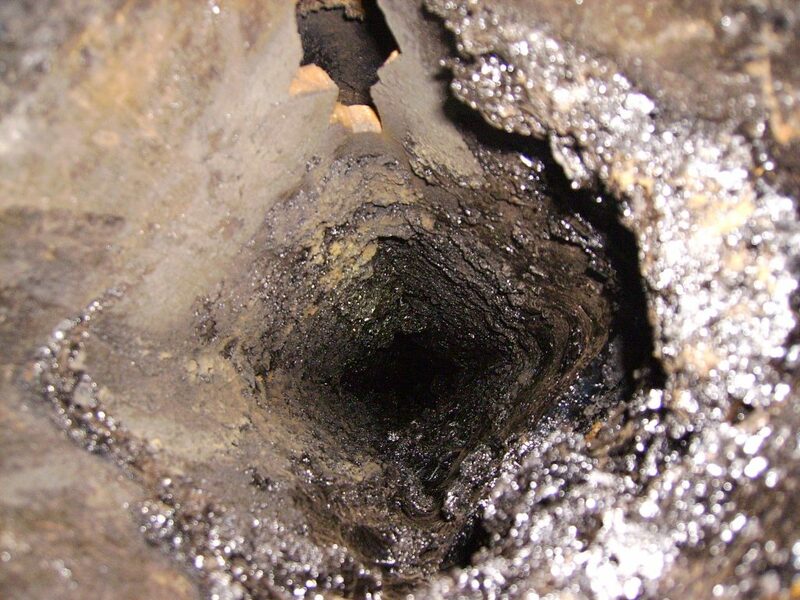 Glaze creosote in any amount can cause a chimney fire and should be removed. Burn wood that has been cut, split and stacked for 6 months to a year. It should have airspace around the stack to help dry the wood. A moisture meter will show that properly cured firewood has around 20% moisture content. Cured, split wood will have cracks on the ends of the wood, caused by shrinkage and moisture draining out. In general, dense woods like oak, elm, maple and ash will take longer to cure than less dense woods like birch, poplar or any of the evergreen woods. Follow the manufacturer’s instructions for installation and use of the appliance. Know how to control the combustion air intake in your stove or fireplace. Make sure your appliance has plenty of air to burn. (A smoldering, smoky fire causes creosote.) Hint: If you have glass on the front of the stove or fireplace, monitor it. If the glass is getting covered with smoke stains, it usually means you are not burning hot enough. Don’t take the manufacturer’s maximum burn time as gospel. Maximum burn times are calculated in ideal laboratory conditions. Real world maximum burn times vary greatly depending on many factors such as: Location of the appliance, type of wood being burned, season of the year, type of chimney, interaction with other appliances in your home among other factors. If possible, put a magnetic thermometer on your stove or connector pipe. A surface thermometer measures the temperature of the outside of the stove or pipe and the optimum is 300-500 degrees. A better (truer) way to measure temperature is with a probe thermometer. 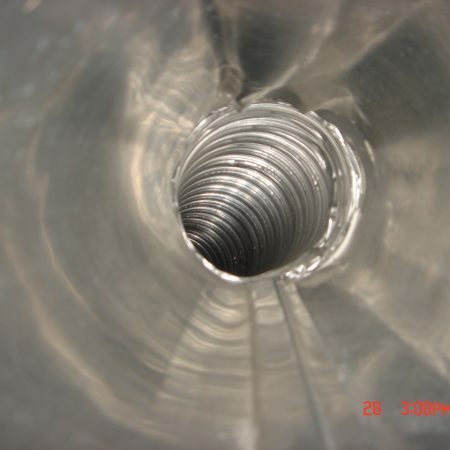 It measures the core temperature of the flue gases going up the pipe and the optimum temperature is 600-1000 degrees. Knowing how hot you are burning and burning at optimum temperature is the easiest way to prevent creosote accumulation. Burn smaller loads of wood in the spring or fall than you would in the middle of the winter. You may have to feed the fire more frequently. If your stove or fireplace produces too much heat, you may end up closing the air intake and your appliance will “starve for oxygen”, smoke and smolder. Oxygen starvation is one reason creosote can form. Materials such as gasoline, kerosene or lighter fluid, when used to start a fire can cause an out-of-control fire. These should never be used in a fireplace or woodstove. There are many safer fire starters available. Every year, we hear about folks who have burned their Christmas wrapping paper or cardboard in their stove or fireplace and started their chimney on fire. This is a poor idea because it can cause a very large hot fire to erupt. If this spreads to creosote up in the chimney, “bad things can happen.” It’s a better idea to recycle paper and cardboard. Do not burn wood that has been painted or treated in any way because it can emit toxic chemicals. Fire needs oxygen to burn. Fire extinguishers work to eliminate that oxygen. Keep a Class ABC fire extinguisher near your fireplace or wood stove. There are also “flare-type” chimney fire extinguishers available to prevent a chimney flare. They work best in an airtight system. Most sprays, powders or other substances one can add to the fire do not work as they are advertised to do. We have found 3 products that have helped our clients in preventing or removing creosote. Anti-Creo-Soot, (ACS) is sprayed on at least a 300-degree fire by a homeowner. It dries the moisture out of the creosote, flakes it apart and it can then be brushed out of the flue. It works much better in an airtight stove or fireplace than an “open” fireplace. CreAway is a very fine powder, (think talcum powder) that is applied directly to the creosote inside the flue. Usually, this has to be applied by a professional technician. CreAway also dries moisture out of creosote so it can be brushed from the flue. It also has a chimney fire inhibiting capability. Poultice Creosote Remover, (PCR) is applied directly to the creosote. It is poured down the flue from the top and a “sponge-like device” is drawn up through the material coating the flue interior. PCR offers the most complete, almost overnight results. It is best applied by a professional technician. It’s quite caustic and one needs to wear appropriate safety gear when applying it. 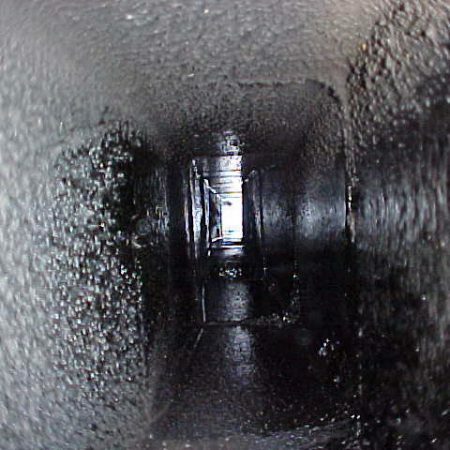 It literally “melts” creosote off of the interior of the flue. Note: Depending on the thickness and extent of the creosote, each of these products may have to be applied more than once to gain satisfactory results. Schedule your annual chimney inspection and cleaning by calling Black Goose at 218-721-3192. 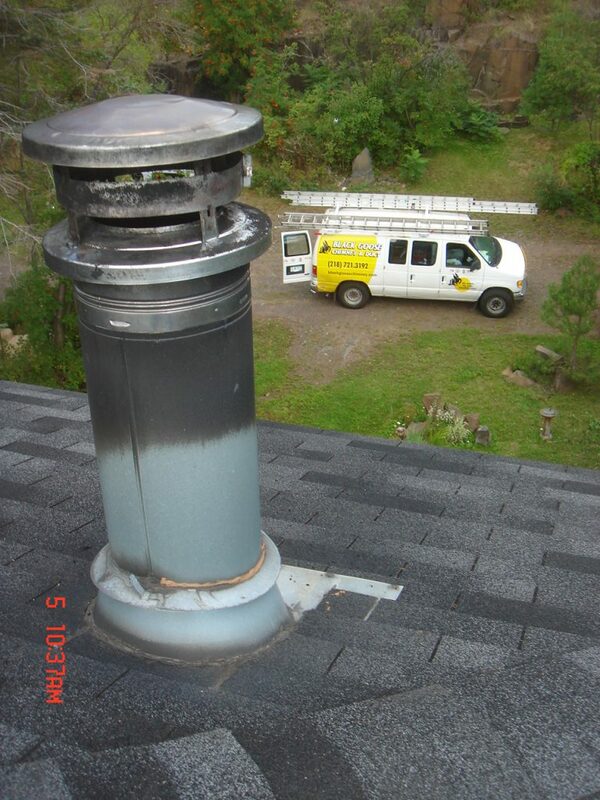 Our professional chimney maintenance can offer you true peace of mind.